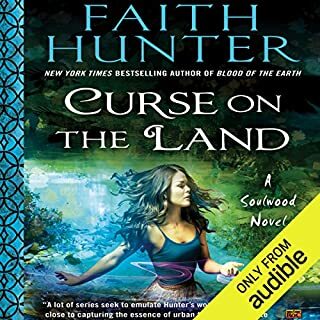 Set in the same world as Faith Hunter's New York Times best-selling Jane Yellowrock novels, the fourth Soulwood novel stars Nell Ingram, who channels her power from the Earth. 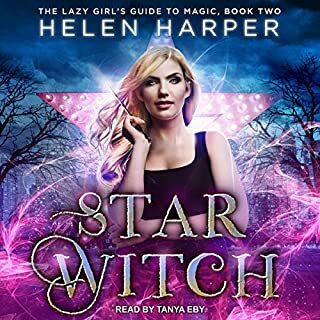 Nell can draw magic from the land around her, and lately she's been using it to help the Psy-Law Enforcement Division, which solves paranormal crimes. Joining the team at PsyLED has allowed her to learn more about her powers and the world she always shunned - and to find true friends. Head agent Rick LaFleur shifts into a panther when the moon calls him, but this time, something has gone wrong. Rick calls Nell from a riverbank - he's naked, with no memory of how he came to be there, and there's a dead black cat, sacrificed in a witch circle and killed by black magic, lying next to him. 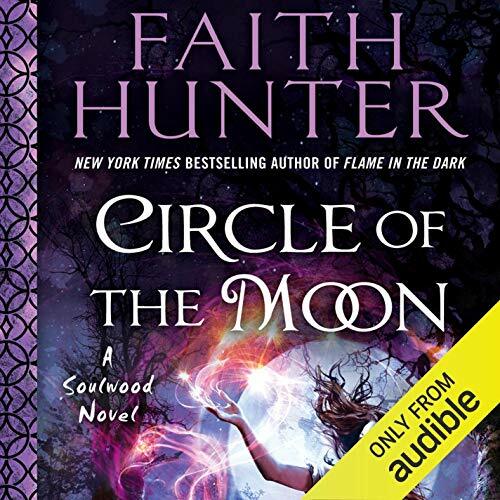 ©2019 Faith Hunter (P)2019 Audible, Inc.
Circle of the Moon is the fourth book in the Soulwood Series and is set in the same world as the Jane Yellowrock books. This story comes after Dark Queen, so beware of spoilers. 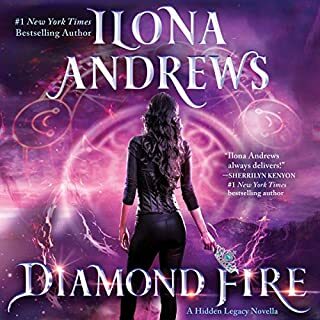 We pick up not long after the end of Flame in the Dark when Nell and Occam, as agents of PsyLED, are called to a riverbank where lead agent Rick LaFleur has been drawn to a witch circle. 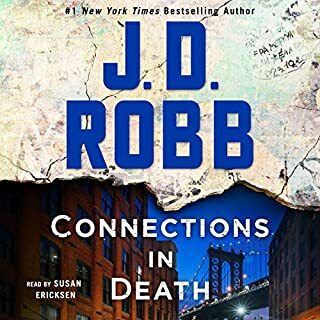 What follows is a wild ride where multiple cases keep the team hopping, while mystery swirls around Rick and his unknown past. I love the overlap of characters and happenings in New Orleans. 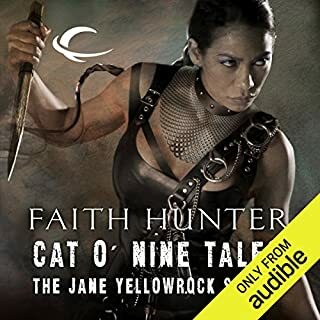 Faith Hunter takes details from early in the Jane Yellowrock series and seamlessly weaves them into this present day story. I adore the growing relationship between Nell and Occam, as well as the character growth of Nell as she takes over the care of her sister Mud. 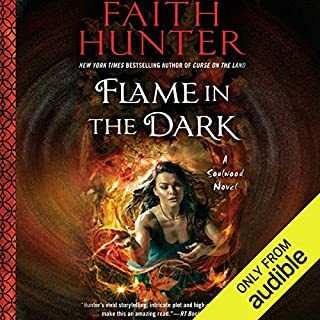 I had some doubts at the end of Flame in the Dark, and really wondered where this series was going, but Faith Hunter pulls off a truly amazing read with action, adventure, mystery, and a touch of romance. It has a little something for everyone. Khristine Hvam does an amazing job with all of the Jane Yellowrock/Soulwood Series characters, male, female, privileged vampire, to God's Cloud cult member, she never fails to bring them to life! I can honestly say I officially like this series even more than Jane's. Devoured it in one day. Holy mother of GOODNESS!! This is a well written story line. I was captivated by my emotions that I experienced while reading and listening to this book. A must have for your book collection !!! Nell has really started to grow on me - no pun intended. There's conflict at work and at home that pulls her in different directions, but she's well-grounded (that one might have been intentional) enough to use her connection to Soulwood to get her through the worst of it. Book 3 was a nail-biter. 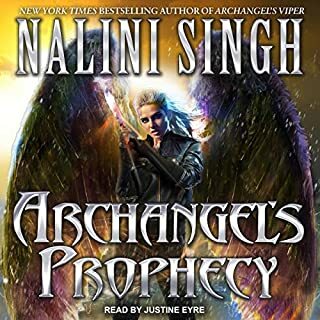 Book 4 made me sigh with relief. 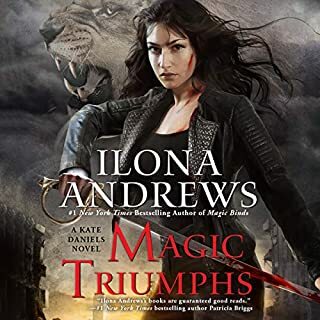 This sassy heroine is vulnerable and strong at once, and that's all part of what makes her such a wonderful character. I'm a huge fan of both the Soulwood and Jane Yellowrock series. 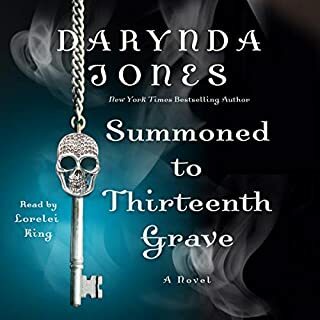 That being said, with this fourth Soulwood installment, you really get an interesting take on characters from the JY books, since the story arc in this book touches back on the events in JY book 12 (Dark Queen). If you''re up to date with both series, this is gravy. It's not necessary, however, to have read the Yellowrock books to enjoy the Soulwood novels. They'e incredible books with a storylines and a main character distinct and separate in every way that matters. 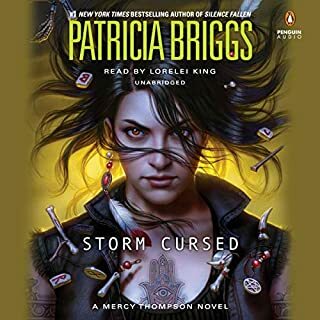 Different characters come with their own histories and personalities, and, as such, their perspectives on characters and plot points they share makes for an interesting reading experience. It's like artists in a room sketching the same still life and coming up with different pictures. I appreciate that. It adds to my enjoyment and the deftness with which the author writes well-rounded characters. What I love about this series is that Nell grows and evolves just as her story does. She's flawed, she has weaknesses, she discovers strengths she learns to use to her advantage, and she continues to forge a new future for herself as she finds her place. It's really a story about making your way in a world that sometimes pushes back. 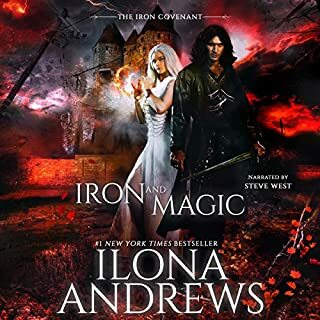 I've fallen in love with a few of the main players, and this novel gave them a bit more exposure, which I was delighted to discover. 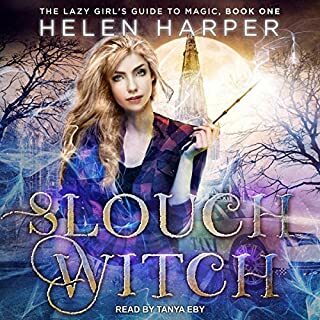 It was hard to put this book down once I started listening. Keep 'em coming, Ms. Hunter. 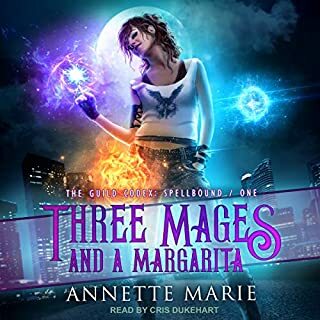 I love the world she's built with her Soulwood series, and I can't wait to see where she takes it next! With each and every book that Faith writes you become more enthralled in her universe. 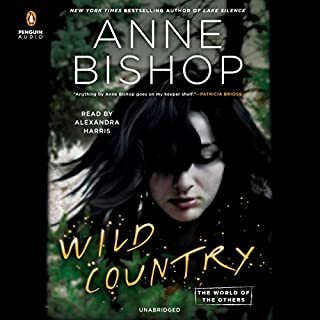 Khristine Hvam is the perfect narrator for the Soulwood and Jane Yellowrock worlds. It was worth the wait. I’m off to listen again!!! All the incidents that seems unrelated at the beginning becomes so well interwoven that I was sucked into the book until the very end. I guess the best part about this book is that even though it’s actionfilled it never forgets to show us how Mel is moving on with her life. She is so much more comfortable with her Powers and her role as an agent. I was very satisfied in knowing Rick’s Mysterious tattoos and illness is finally resolved in this amazing story. I had hated him for a long time for how he treated Jane but also have been feeling bad about his heaps of misfortune and unhappiness for a while now. This book was phenomenal! The series just gets better and better with every book. I can't wait for more! Great story by Faith Hunter! Love Nell and the Soulwood series. 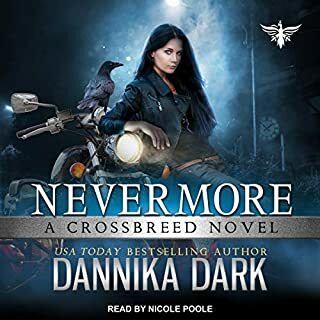 Sometimes I do need to refresh my memory (re-listen or re-read the previous books) in order to remember what has happened, including the Jane Yellowrock series, in order to understand and keep straight the new story. I still have a love-hate "Book" relationship with Rick LaFleur, but dangit, I couldn't help but feel sorry for him this time. If you follow Soulwood, this book is a great addition to the series. I enjoyed it and it was worth my time and money/credit, so I would recommend it. Wow! Nell can't be stopped! This series is so great! Lots of background questions about Rick are answered. 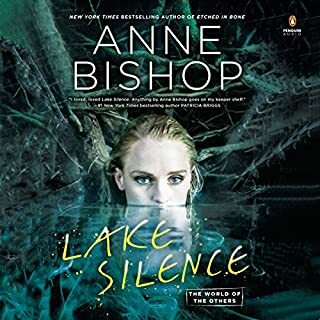 The narrator is one of the very best in the business. Great movement in character development in this installment. Cast of characters is wide & deep. 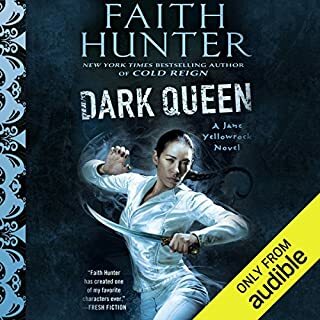 This underscores why Faith Hunter is one of my top 5 modern authors. She never disappoints. Great story line & development of characters. Interesting introduction of new characters & areas for future expansion.